I wrote my first article about wine in 2000, when Rick Longoria gave my 22-year-old, otherwise beer-focused brain the regional breakdown at his old spot in Los Olivos, when there were only a handful of other tasting rooms nearby. A lot’s changed since then — Longoria’s now in Lompoc, more than 50 tasting rooms dominate Los Olivos, and my own career took a very wine-focused turn in about 2004, when I started freelancing regularly for Wine Spectator. A decade later, in 2014, Wine Enthusiast hired me to cover the entire Central Coast and Southern California wine scenes, which now means that I review about 200 wines per month and am frequently traveling across the state to report on wine. That’s in addition to the food and drink reporting I do for this newspaper, so we’re starting this Bottles & Barrels column as a way to share more of what I’m learning about wine as well as beer, spirits, and whatever other beverages float my way. You can check out all of my writing, including links to the Wine Enthusiast reviews, at independent.com/kettmann. Feel free to send your thoughts, events, tips, and so forth to me at matt@independent.com. ADAM LEE’S NEXT MOVE: For more than two decades, Texan–turned–Santa Rosa winemaker Adam Lee built a reputation on the powerful pinot noirs he made for Siduri Wines from vineyards across the West Coast, down from Oregon’s Willamette Valley to our own Sta. Rita Hills. In 2015, Lee sold the winery to Jackson Family Wines, but remains onboard today as the winemaker of record. Soon after that sale, we clinked way more glasses than needed over a celebratory dinner at The Goodland in Goleta. He was still giddy with finally having a stable financial future for his family — winemaking, after all, is really a gambler’s game for those who aren’t already rich — and I was proud to share in his success. Lee was an early and enthusiastic supporter of my wine journalism and a confidant who always knows what’s happening before anyone else. We returned to The Goodland last week to clink glasses again — albeit not so many, it being a Monday and all — and discuss his new project: Clarice Wine Company. It’s named after his grandmother from Texas, who cooked big pots of food all day long for his farmer grandpa. She taught Lee that adding spice at the end of the batch really makes that seasoning stand out rather than integrate with the stew. In winemaking terms, that means combining all your components early rather than late. 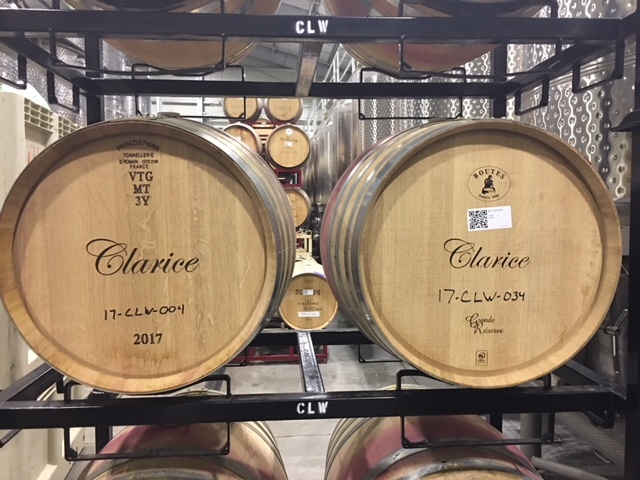 So for Clarice’s first vintage in 2017, Lee identified two separate blocks at Garys’ Vineyard in the Santa Lucia Highlands (which he’s worked with since 1999) and two separate blocks at nearby Rosella’s (a Siduri source since 2001). Rather than keep the lots separate and blend them together after they’ve aged in barrel — which is the common practice in high-end winemaking — he’s blending those two blocks from each vineyard at harvest time. The result will be single-vineyard bottlings of Garys’ and Rosella’s, as well as a Santa Lucia Highlands blend as the third wine. That process is not particularly revolutionary — many people do “field blends” of different blocks, even different grapes — but his sales plans are. He’s signing up members to his club, which will allow the purchase of a $960 case of wine per year (four bottles of the three wines). Of that, $48 is for the wine itself (yep, just $4 a bottle, so you only pay a small amount of tax), and $912 is the subscription fee (nontaxable). Already, 450 people have signed up, and 1,600 are on his mailing list, but there’s only room right now for 650 total. Seems like he’s on to something. CRUISE BORDEAUX WITH ME: This October, I’ll be leading a group of intrepid wine lovers into the polished châteaux of Bordeaux on one of AmaWaterways’ popular river cruises. It’s the first stab at what we’re calling Editor Explorations, in which our newspaper’s editors will take readers somewhere that aligns with their expertise, as facilitated by Santa Barbara Travel Bureau. 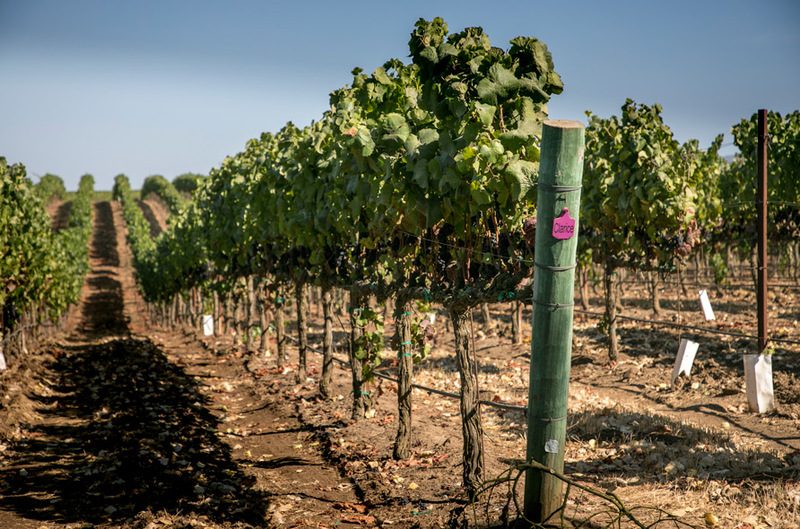 For my trip, we’ll also be visiting Grassini Family Vineyards one afternoon this summer to learn about how Bordeaux varieties are faring in our own backyard. If you’re interested in learning more about the trip, click here. TASTING TO-DOS: My inbox is inundated weekly with notices for upcoming tasting events, so expect to see many listed briefly here on a regular basis. Up next is the Back to the Futures tasting hosted by the Pioneers of Santa Barbara County on Saturday, February 24, 2-5 p.m., at Pico in Los Alamos. It’s a return to the annual futures tasting that the Wine Cask held for to-be-released wines for decades, and 15 wineries will be sharing their latest before they hit the market. Tix are $55. See pioneersofsantabarbaracounty.com. On Sunday, February 25, 4-6 p.m., Leslie “Wine Consumption Specialist” Thomas is shining a light on Ballard Canyon syrah by hosting five “micro-producers” at Max’s Restaurant & Cucina (3514 State St.), with winemakers from Cherry Newton, Kaena, Larner, Potek, and Tercero wineries. Tix are $15 and include tastes of at least 10 wines and some nibbles. Email lesliewine@aol.com. On Thursday, March 1, 10 a.m.-1 p.m., the Wine Cask is hosting the 20th anniversary of Brewer-Clifton, in which Greg Brewer will talk story and master somm Michael Jordan will lead participants through chardonnays and pinot noirs from 2007 to 2010. The family-style lunch includes wines from The Hilt, Longoria, Alma Rosa, Lafond, and Babcock. Tix are $75. Email wine@winecask.com. The World of Pinot Noir takes over the Ritz-Carlton Bacara next weekend, March 2-3, with grand tastings, special meals, and seminars. I’ll be leading one on Friday at 1 p.m., featuring nine wines that I selected to represent a wide swath of the Central Coast, from the Santa Cruz Mountains to the Santa Maria Valley. Joining me are winemakers Tyler Thomas (Dierberg), Ken Brown, Bradley Brown (Big Basin), and Eric Hickey (Laetitia). See worldofpinotnoir.com for more info and tickets.